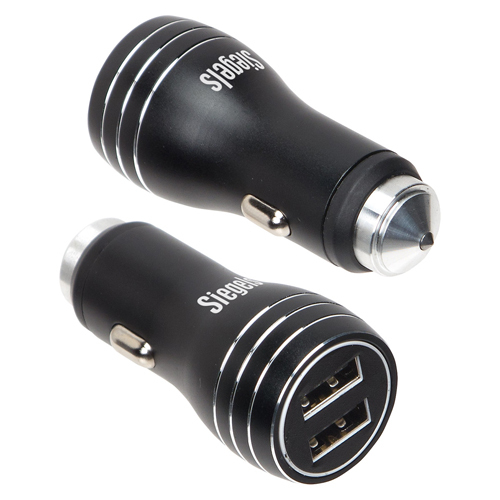 Car chargers will help you stay connected with a large and diverse demographic. 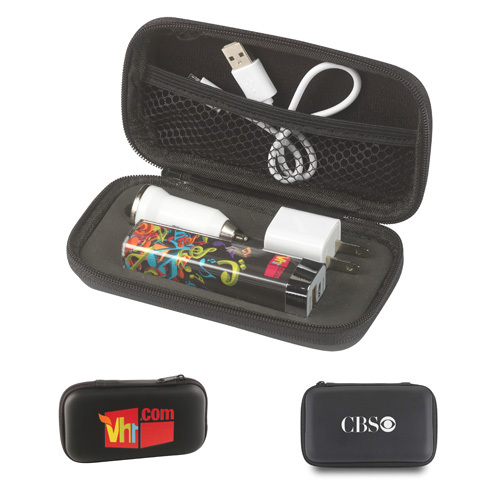 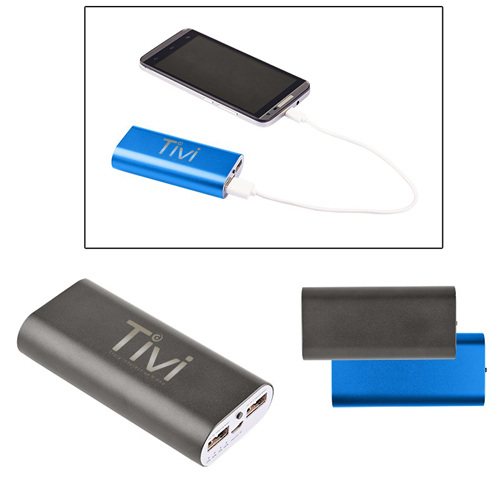 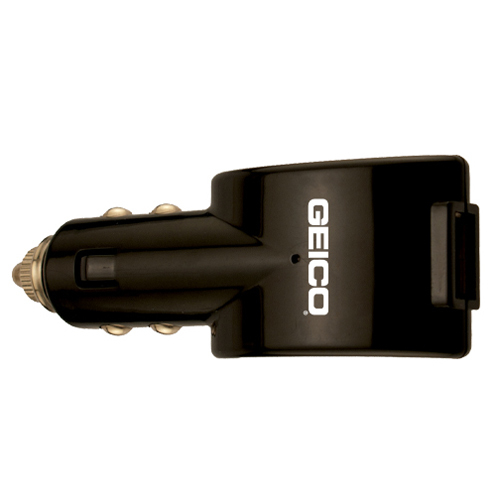 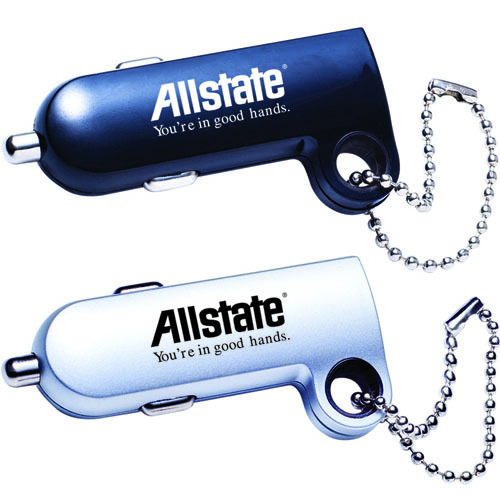 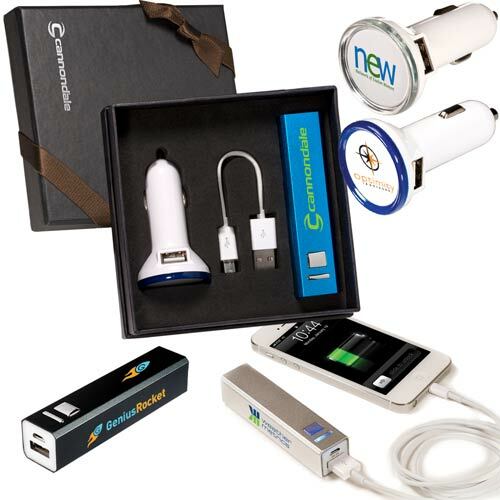 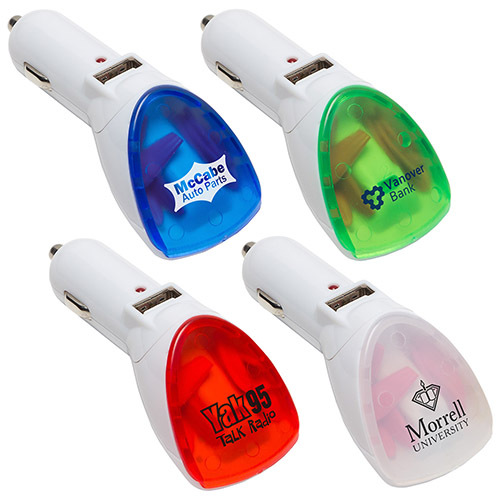 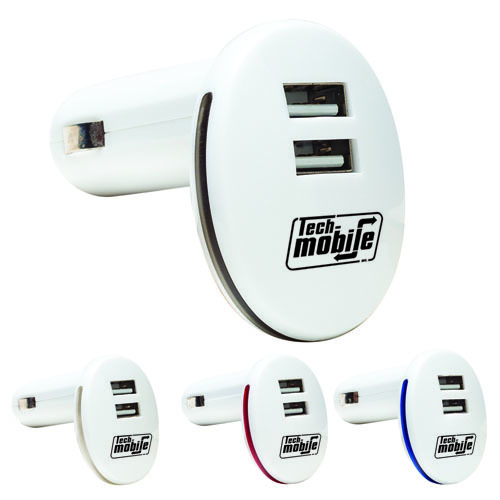 Recharge your promotions with cell phone chargers in your automobile and acquire new sales leads while on the road. 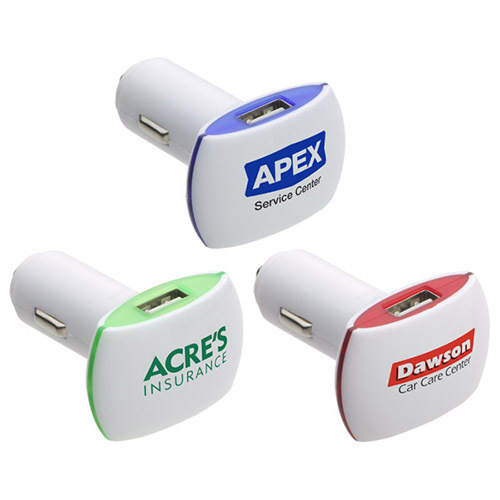 They are handy when you need a little charge. 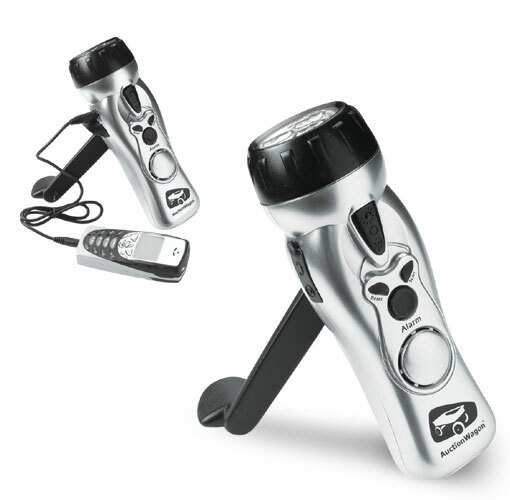 Life's new necessity so you stay connected with your hands free cell phone. 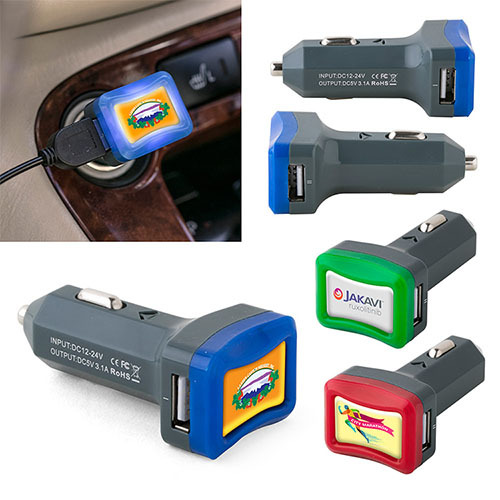 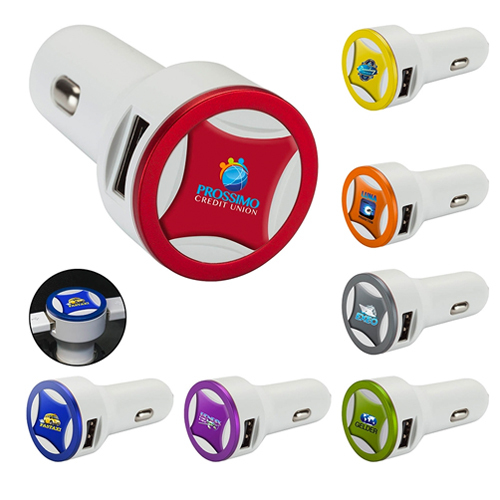 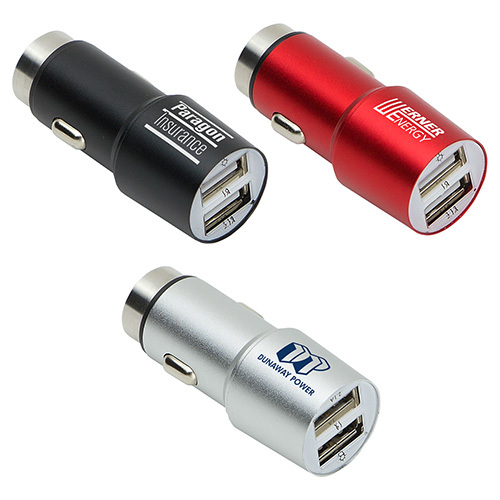 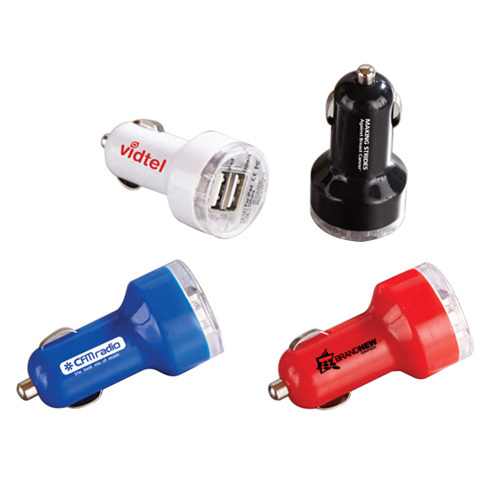 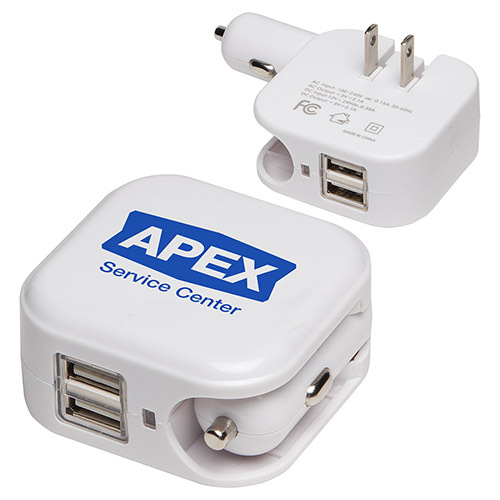 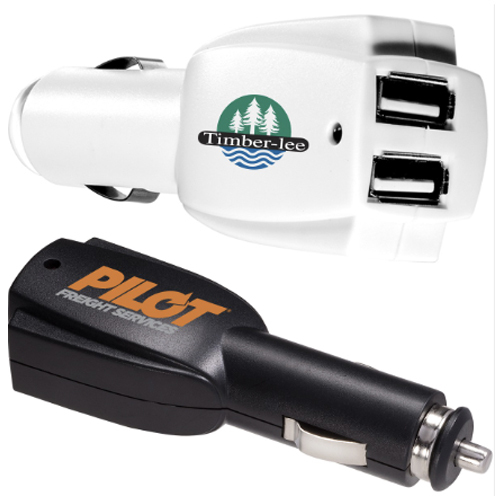 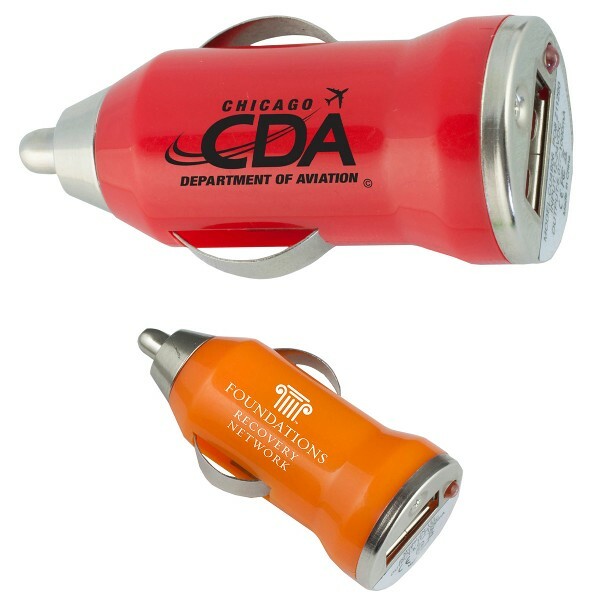 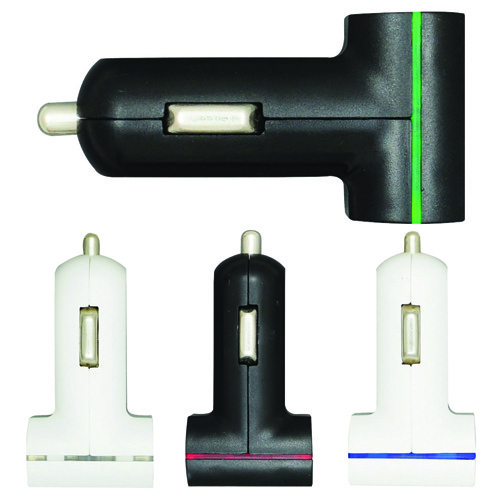 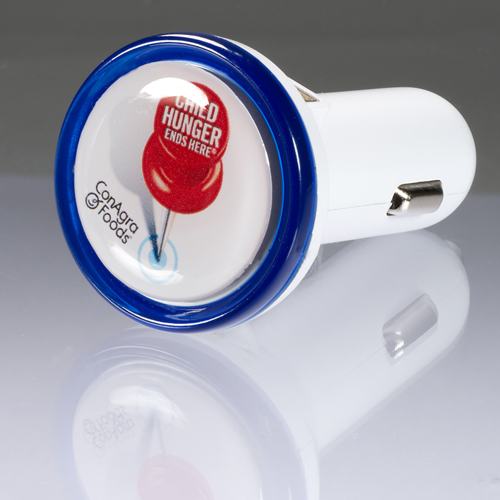 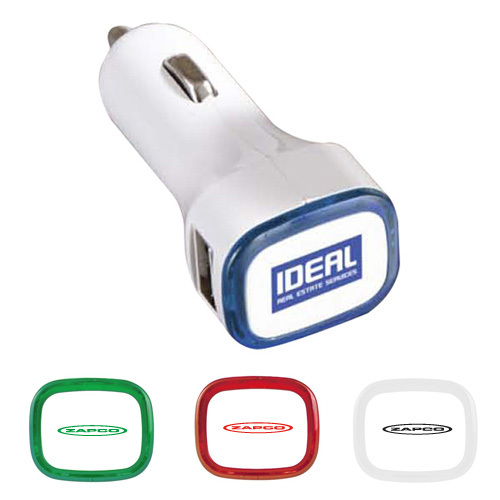 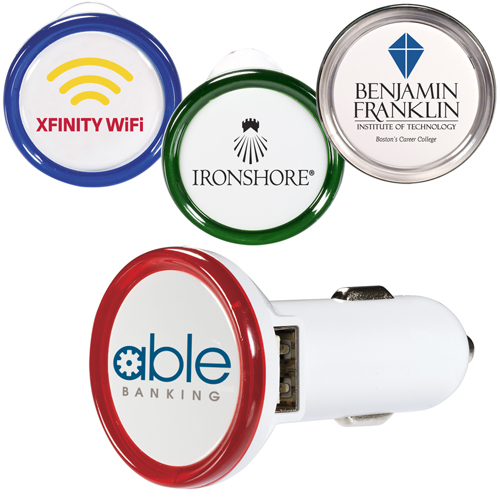 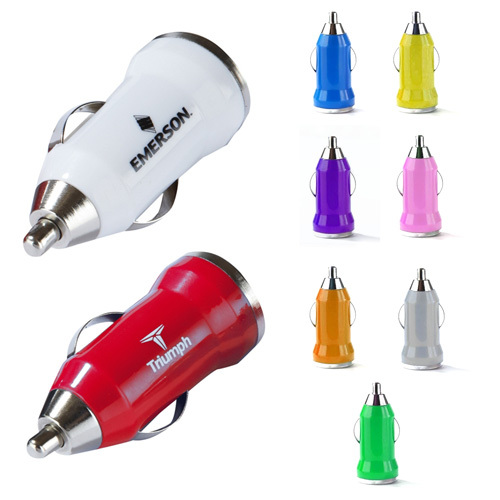 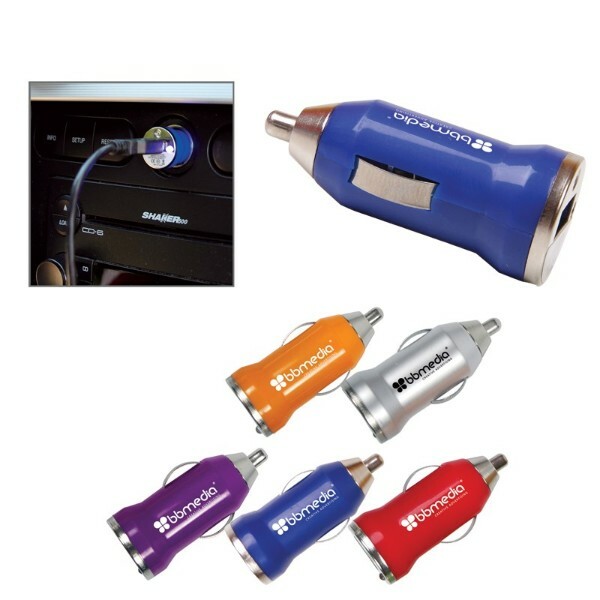 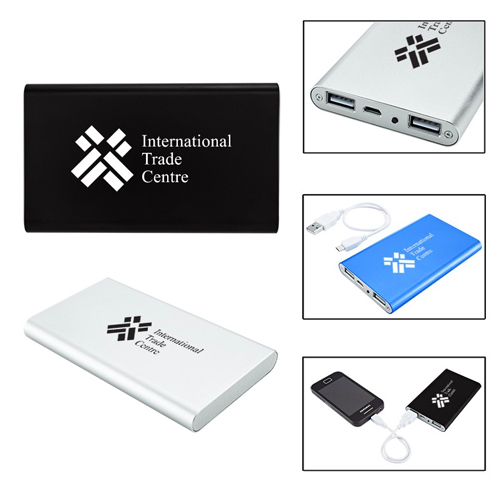 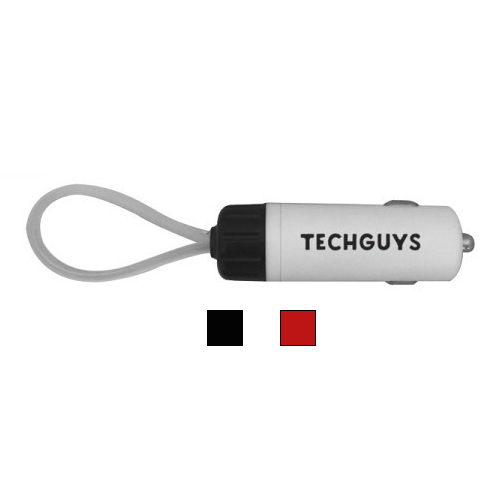 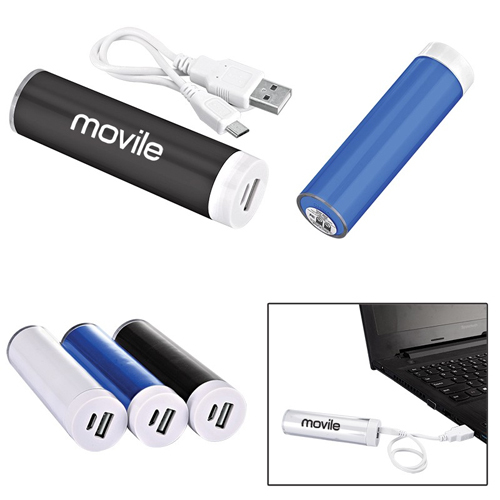 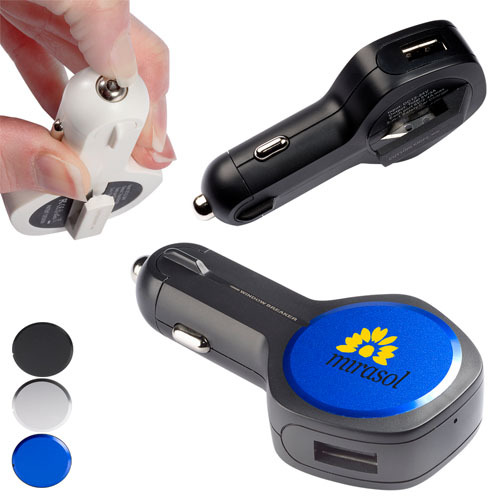 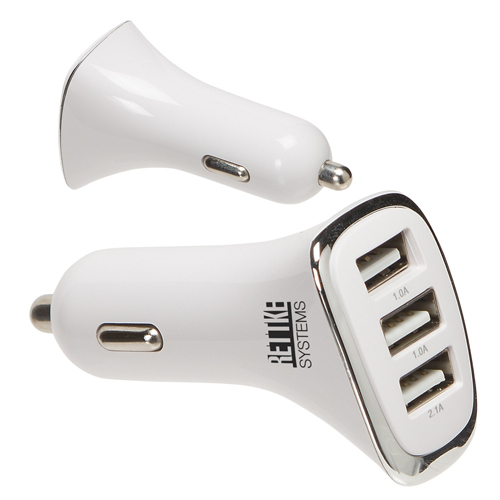 The relevance of promotional car chargers is cell phones are used everyday which make them great advertising items. 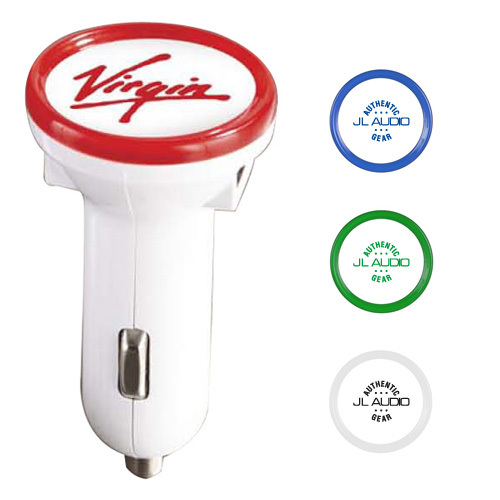 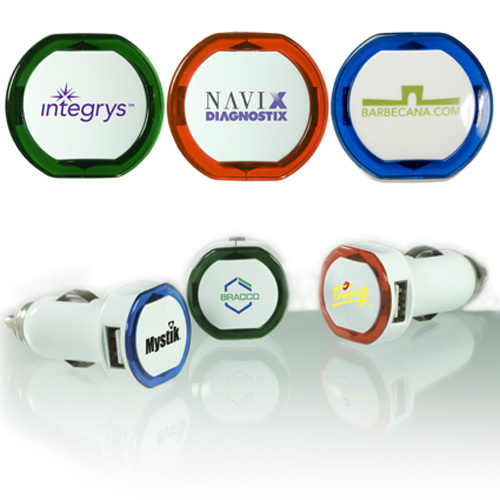 Your customers and employees will be reminded of your organization every time they get in their automobile.